As the use of Web-based instruction increases in the educational and training domains, many people have recognized the importance of evaluating its effects on student outcomes such as learning, performance, and satisfaction. Often, these results are compared to those of conventional classroom instruction in order to determine which method is “better.” However, major differences in technology and presentation rather than instructional content can obscure the true relationship between Web-based instruction and these outcomes. Computer-based instruction (CBI), with more features similar to Web-based instruction, may be a more appropriate benchmark than conventional classroom instruction. Furthermore, there is little consensus as to what variables should be examined or what measures of learning are the most appropriate, making comparisons between studies difficult and inconclusive. In this article, we review the historical findings of CBI as an appropriate benchmark to Web-based instruction. In addition, we review 47 reports of evaluations of Web-based courses in higher education published between 1996 and 2002. A tabulation of the documented findings into eight characteristics is offered, along with our assessments of the experimental designs, effect sizes, and the degree to which the evaluations incorporated features unique to Web-based instruction. Olson, T. & Wisher, R. (2002). The Effectiveness of Web-Based Instruction: An Initial Inquiry. 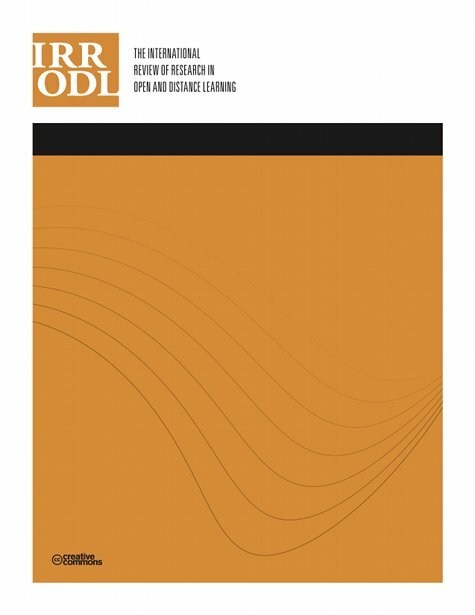 The International Review of Research in Open and Distributed Learning, 3 (2),. Athabasca University Press. Retrieved April 23, 2019 from https://www.learntechlib.org/p/49740/. Angulo, A.J., and Bruce, M. (1999). Student perceptions of supplemental Web-based instruction. Innovative Higher Education, 24, 105 – 125. Arvan, L., Ory, J.C., Bullock, C.D., Burnaska, K.K., and Hanson, M. (1998). The SCALE Efficiency Projects. Journal of Asynchronous Learning Networks, 2, 33 – 60. Bee, R.H., and Usip, E.E. (1998). Differing attitudes of economics students about webbased instruction. College Student Journal, 32, 258 – 269. Berge, Z.L., and Mrozowski, S. (2001). Review of research in distance education, 1990 to 1999. The American Journal of Distance Education, 15, 5 – 19. Bloom, B.S. (1984). The 2-Sigma problem: The search for methods of group instruction as effective as one-on-one tutoring. Educational Researcher, 13, 4 – 16. Bonk, C.J., and Dennen, V.P. (1999). Teaching on the Web: With a little help from my pedagogical friends. Journal of Computing in Higher Education, 11, 3 – 28. Chickering, A.W., and Ehrmann, S.C. (1996). Implementing the seven principles: Technology as Lever. American Association for Higher Education Bulletin, 3 – 6. Cohen, J. (1988). Statistical power analysis for the behavioral sciences (2nd Ed.). Hillsdale, NJ. : Lawrence Erlbaum Associates. Cooper, L.W. (2001). A comparison of online and traditional computer applications classes. T.H.E. Journal 28, 52 – 58. Davies, R.S., and Mendenhall, R. (1998). Evaluation comparison of online and classroom instruction for HEPE 129 – Fitness and lifestyle management course. Report to Brigham Young University. Dills, C., and Romiszowski, A.J. (1997). Instructional development paradigms. Englewood Cliffs, NJ. : Educational Technology Publications. Eli-Tigi, M., and Branch, R.M. (1997). Designing for interaction, learner control, and feedback during Web-based learning. Educational Technology37, 23 – 29. Fletcher, J.D. (2001). Technology, the Columbus effect, and the third revolution in learning. Institute for Defense Analyses. Paper D-2562. Fletcher, J.D. (1990). Effectiveness and cost of interactive videodisc instruction in defense training and education. Institute for Defense Analyses Paper P-2372. Gagne, M., and Shepherd, M. (2001). Distance learning in accounting: A comparison between a distance and traditional graduate accounting class. T.H.E. Journal, 28, 58 – 65. Galloway, G.M. (1998). A model of Internet usage for course delivery. Paper presented at the 9th Annual International Conference of the Society for Information Technology and Teacher Education (SITE): Washington DC. Johnson, S.M. (2001). Teaching introductory international relations in an entirely webbased environment. Education at a Distance, 15, 5 – 14. Johnson, S.D., Aragon, S.R., Shaik, N., and Palma-Rivas, N. (2000). Comparative analysis of online vs. Face-to-face instruction. ERIC Document No. ED 448722. Kahn, B.H. (1997). A framework for Web-based learning. Paper presented at the Instructional Technology Department, Utah State University, Logan, Utah. Kahn, B.H. (2001). Web-based training: An introduction. In B.H. Kahn (Ed.) Web-based Training. Englewood Cliffs, NJ. : Educational Technology Publications. Kulik, C.L., and Kulik, J.A. (1991). Effectiveness of Computer-based Instruction: An updated analysis. Computers in Human Behavior, 7, 75 – 94. Kulik, J.A. (1994). Meta-analytic studies of findings on computer-based instruction. In E.L. Baker, and H.F.O’Neil (Eds.) Technology assessment in education and training (P. 9-33). Hillsdale, NJ. : Lawrence Erlbaum Associates. Leasure, A.R., Davis, L., and Thievon, S.L. (2000). Comparison of student outcomes and preferences in a traditional vs. WorldWide Web-based baccalaureate nursing research course. Journal of Nursing Education, 39, 149 – 154. Liao, Y.K.C. (1999). Effects of hypermedia on students’ achievement: A meta-analysis. Journal of Educational Multimedia and Hypermedia 8, 255 – 277. Lou, Y., Abrami, P.C., and d’Apollonia, S. (2001). Small Group Learning and Individual Learning with Technology: A meta-analysis. Review of Educational Research, 71, 449 – 521. Magalhaes, M.G.M., and Schiel, D. (1997). A method for evaluation of a course delivered via the WorldWide Web in Brazil. In M.G. Moore and G.T. Cozine (Eds.) Web-Based Communications, the Internet, and Distance Education. University Park, PA: The Pennsylvania State University. Maki, W.S., and Maki, R.H. (2002). Multimedia comprehension skill predicts differential outcomes of web-based and lecture courses. Journal of Experimental Psychology: Applied, 8, 85 – 98. Maki, R.H., Maki, W.S., Patterson, M., and Whittaker, P.D. (2000). Evaluation of a web-based introductory psychology course: I. Learning and satisfaction in online versus lecture courses. Behavior Research Methods, Instruments, and Computers 32, 230 – 239. McNulty, J.A., Halama, J., Dauzvardis, M.F., and Espiritu, B. (2000). Evaluation of Web-based computer-aided instruction in a basic science course. Academic Medicine 75(1), 59 – 65. Murphy, T.H. (2000). An evaluation of a distance education course design for general soils. Journal of Agricultural Education, 41, 103 – 113. Navarro, P., and Shoemaker, J. (2000). Performance and perceptions of distance learners in cyberspace. In M.G. Moore and G.T. Cozine (Eds.) Web-Based Communications, the Internet, and Distance Education. University Park, PA: The Pennsylvania State University. Phelps, J., and Reynolds, R. (1999). Formative evaluation of a web-based course in meteorology. Computers and Education, 32, 181 – 193. Phipps, R., and Merisotis, J. (1999). What’s the difference? A review of contemporary research on the effectiveness of distance learning in higher education. Washington DC. : The Institute for Higher Education Policy. Powers, S.M., Davis, M., and Torrence, E. (1998). Assessing the classroom environment of the virtual classroom. Paper presented at the Annual Meeting of the MidWestern Educational Research Association, Chicago, Illinois. Ryan, M., Carlton, K.H., and Ali, N.S. (1999). Evaluation of traditional classroom teaching methods versus course delivery via the WorldWide Web. Journal of Nursing Education, 38, 272 – 277. Saettler, P. (1990). The evolution of American educational technology. Englewood, CO.: Libraries Unlimited. Sandercock, G.R.H., and Shaw, G. (1999). Learners’ performance and evaluation of attitudes towards web course tools in the delivery of an applied sports science module. Asynchronous Learning Networks Magazine, 3, 1 – 10. Schlough, S., and Bhuripanyo, S. (1998). The development and evaluation of the Internet delivery of the course “Task Analysis.” Paper presented at the 9th International Conference for Information Technology and Teacher Education (SITE), Washington D.C.
Schulman, A.H., and Sims, R.L. (1999). Learning in an online format versus an in-class format: An experimental study. T.H.E. Journal 26, 54 – 56. Schutte, J.G. (1996). Virtual Teaching in Higher Education: The new intellectual superhighway or just another traffic jam? California State University, Northridge. Retrieved July 30, 2002 from: http://www.csun.edu/sociology/virexp.htm. Serban, A.M. (2000). Evaluation of Fall 1999 Online Courses. Education at a Distance 14, 45 – 49. Shaw, G.P., and Pieter, W. (2000). The use of asynchronous learning networks in nutrition education: Student attitude, experiences, and performance. Journal of Asynchronous Learning Networks 4, 40 – 51. Stadtlander, L.M. (1998). Virtual instruction: Teaching an online graduate seminar. Teaching of Psychology 25, 146 – 148. Summary, R. And Summary, L. (1998). The effectiveness of the WorldWide Web as an instructional tool. Paper presented at the 3rd Annual Mid-South Instructional Technology Conference, Murfreesboro, Tennessee. Taylor, C.D., and Burnkrant, S.R. (1999). Virginia Tech Spring 1999: Online Courses. Assessment Report to the Institute for Distance and Distributed Learning. Virginia Tech University. Terry, N. (2001). Assessing the enrollment and attrition rates for the online MBA. T.H.E. Journal 28, 64 – 68. Thomson, J.S., and Stringer, S.B. (1998). Evaluating for distance learning: Feedback from students and faculty. Paper presented at the 14th Annual Conference on Distance Teaching and Learning, Madison, WI. Trier, K.K. (1999). Comparison of the effectiveness of Web-based instruction to campus instruction. Retrieved July 30, 2002 from: http://www.as1.ipfw.edu/99tohe/presentations/trier.htm. Verbrugge, W. (1997). Distance education via the Internet: Methodology and results. Paper presented at the 30th Annual Summer Conference Proceedings of Small Computer Users in Education. North Myrtle Beach, South Carolina. Wang, X.C., Kanfer, A., Hinn, D.M., and Arvan, L. (2001). Stretching the Boundaries: Using ALN to reach on-campus students during an off-campus summer session. Journal of Asynchronous Learning Networks 5, 1 – 20. Waschull, S.B. (2001). The online delivery of psychology courses: Attrition, performance, and evaluation. Teaching of Psychology 28, 143 – 147. Wegner, S.B., Holloway, K.C., and Garton, E.M. (1999). The effects of Internet-based instruction on student learning. Journal of Asynchronous Learning Networks 3, 98 – 106. Wisher, R., and Champagne, M. (2000). Distance learning and training: An evaluation perspective. In S. Tobias and J. Fletcher (Eds.) Training and Retraining: A handbook for business, industry, government, and military. New York: Macmillan Reference USA. Wisher, R., and Curnow, C. (1999). Perceptions and effects of image transmissions during Internet-based training. The American Journal of Distance Education, 13, 37 – 51. Woolf, B.P., and Regian, J.W. (2000). Knowledge-based training systems and the engineering of instruction. In S. Tobias and J. Fletcher (Eds. ), Training and Retraining: A handbook for business, industry, government, and the military (P. 339-356). New York: Macmillan Reference USA. Multiplexing Distance Education: Applying Multiple Sources for Multiple Learning Styles. A Case Study Using Technology to Teach a Presentation Course Online.